Lujan becomes the 99th Republican in the Texas House, one short of a supermajority, but will need to win again in the March primary and November general election to serve in the 2017 legislature. 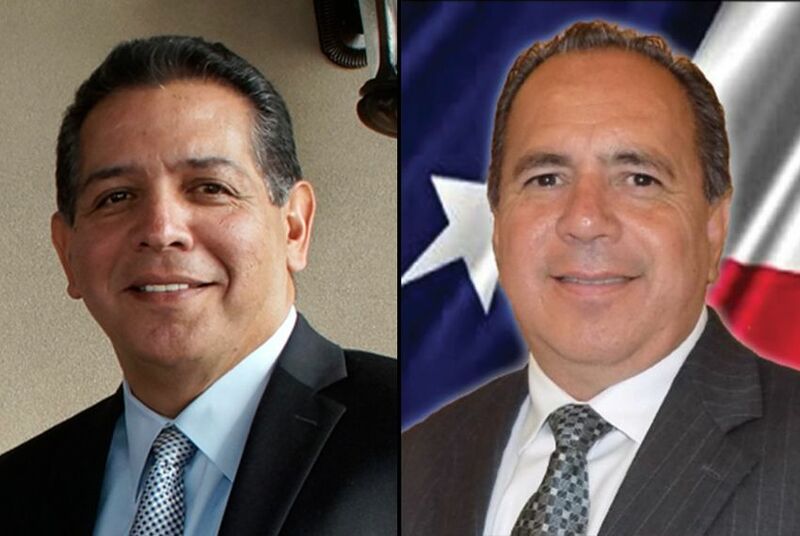 Republican Rep. John Lujan, (l) and Democrat Tomas Uresti face off again this election in state House District 118. Republican John Lujan defeated Democrat Tomas Uresti in a special election runoff Tuesday in Texas House District 118 in San Antonio. With 100% of precincts counted, Lujan had 52.38 percent to Uresti’s 47.62 percent. The margin of victory was 171 votes out of 3,601 cast, with a voter turnout of just 4.12 percent. As of late Tuesday night, Lujan’s campaign said Uresti had not yet called to concede the race. Joe Farias, a Democrat who had served as the district’s representative since 2007, resigned his state House seat in August. He had already announced that he would not be seeking re-election, and in a statement at the time, he said he hoped to enjoy more time with his family. On Nov. 3, Lujan and Uresti were the top two finishers in a six-candidate field, garnering 29 percent and 22 percent respectively. Lujan will serve out the remainder of Farias’ current term, which will end this year. Both Uresti and Lujan are also on the March 1 primary ballots in the race to serve a full term beginning in 2017. In the Democratic primary, Uresti, brother of state Sen. Carlos Uresti, D-San Antonio, will face Farias' son Gabe Farias, who finished third in the Nov. 3 election. "The newly elected Republican state representative of San Antonio will never take a vote in the legislature," state Democratic Party Executive Director Manny Garcia said in a statement, noting that early primary voting starts in 20 days. But state GOP Chairman Tom Mechler said he's confident the party's message "is resonating with voters in a critical election year," and that Lujan's win "represents a great sign of what's to come."